Robert Mayes, Ph.D., director of the Institute for Interdisciplinary STEM Education, and Lisa Stueve, Ph.D., executive director of STEM InK, from Georgia Southern University attended and addressed the conference “STEM, the Global Dream,” on Sept. 13 in Hyderabad, India. This is just one of the conferences that took place across four Indian cities including Hyderabad, Chennai, Mumbai and New Delhi. 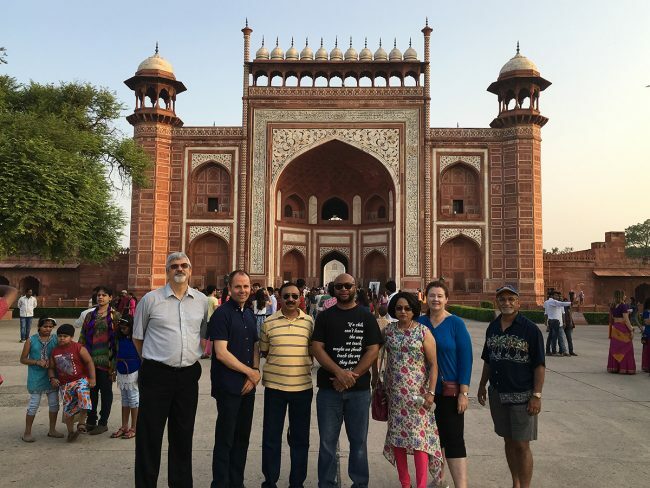 While in Hyderabad and Chennai, Mayes and Stueve visited schools working on STEM objectives and visited universities in Chennai and New Delhi. Georgia Southern collaborates with Science, Technology, Engineering and Math (STEM) Academy of USA Inc., represented by Directors Paddy Sharma, Ph.D., Saibaba Arcot, Ph.D., and Amitabh Sharma, Ph.D., and NextThought Technologies in Oklahoma. Along with Mayes and Stueve, Kenneth Parker from NextThought Technologies and Craig Lockhart, Ph.D., from Newton County, Georgia, school system addressed the conference. STEM is a registered organization that promotes science, technology, engineering and math in third world countries. It instills critical thinking to make modern day innovators.